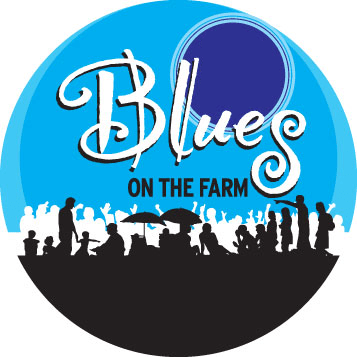 Blues On The Farm, is a wonderful festival that mixes the music up, we have artists from overseas, headline acts and bands we all know some we love others not quiet our cup of tea! then into this delicious mix of delights every year they add some bands that are just plain quirky. The winning mix is like a jug of Pimms full of fruity textures, the hit of alcohol, sweetness of lemonade and the shock of ice on our teeth….. I missed the two Thursday but they were a great way of starting this wonderful festival with Antionio Forcioni with Sarah Jane Morris starting the festival fun, followed by The Big Chris Barber Band (unfortunately without Chris Barber who had broken his ankle) but the show went on. As I arrived on the Friday for the start of my festival experience I was greeted with a harmonious mix hot sunshine, well stocked beer tent, that also included tempting and refreshing jugs of Pimms, delicious food, interesting and colourful stalls from Blacksmith through to CD’s and the instantly recognisable guitar chords of Robin Bibi. A great start to three days of wall to wall entertainment, you had the choice of sitting relaxing in the sun and letting the music drift over you or getting up close and personal with the bands in the marquee. Friday was a day of contrasts from Robin and his band playing blues with heart and soul bring SRV to Chichester, through to the full Southern Rock/Blues/World music of Royal Southern Brotherhood. Opening with Robin Bibi and his band set the tone that was to be the overarching theme for the weekend was going to be quality from the first to last note. Robin delivered a set that was full of favourites and the blues swelled across the grounds as Robin played guitar as if he meant business full of fluency and solo’s that were just the right length; everyone was delighted as he left the stage and played his magic of the blues close and personal. LaVendore Rogue With a quick stage change and the opportunity to top up our glasses and catch some of the sun then the first powerful chords of LaVendore Rogue were heard across the festival; I was really looking forward to hearing this band live. The bedrock of the band is a trio of musical compatriots who were part of the popular Hokie Joint who believed in doing it differently. So we still had JoJo Burgess up front on vocals, stage right Joel Fisk on guitar and the ever mercurial drummer at the back Steve “Cupsey” Cutmore. The addition of a keyboard player Warren Lynn and Rob “Tank” Barry on Bass to the trio gives the required depth of sound and adds colour and texture to the music being created. Jo Jo’s story-telling provides a meaningful and entertaining intro into each track, they all have a story to tell and then there is the very special stage persona combined with powerful vocals; and Joel’s guitar playing shines through clear as he shreds up the tracks and pumps up the volume. LaVendore Rogue are definitely not a re-making of Hokie Joint this is a band determined to drive a new groove rockier a little bit Rock N’ Roll with a bit of death and voodoo magic added… a 21st century sound that will not be silenced or pigeon-holed into the blues they want to be heard in venues across the land, and so they should good music like this deserves to be heard. No wonder the tent was filling fast and the crush at the front full of excitement as many had come dressed and ready for this act this was the reason they were at The Farm tonight, as the next up is the ever popular British Boogie-woogie larger than life full of energy Mike Sanchez whose fingers fly across the keys. Great musicians in his 6-piece outfit featuring Tom Bull on guitar, bassist Nick Whitfield (both Tom and Nick hail from Leicester’s Drugstore Cowboys), Mike’s long-term drummer Mark Morgan, Nick Lunt on baritone sax (Jools Holland’s Rhythm & Blues Orchestra) and Martin Winning on tenor sax (Van Morrison); a loud cheer and warm welcome was given to his wife Sarah when she joined the band to sing a a couple of numbers and the happiness and love flowed from the stage and into the night air! The evening hummed with rock ‘n’ roll and blues with medley of our favourites given that Mike Sanchez treatment. We even had a change on the double bass as Ian Jennings gave Nick a rest and took over the roll… Rockabilly was king of the tent tonight. This created a great atmosphere in preparation for the Headline act The Royal Southern Brotherhood from U.S.A They also had a special guest join the Hamilton Loomis we had a real festival feel the set was superb.. see Bluesdoodles review Headline Acts… They certainly were the delicious cherry on top of a musical pie full of textures and delights as the music faded away the crowds left with the music of Royal Southern Brotherhood and the title tracks flowing through there head from their latest album heartbloodsoul what a musical Friday. The longest day was going to bring a mix of sounds with an intriguing line-up another exciting line-up starting off with solo artist Devenport and ending with King King bringing their exciting version of the blues into the mix. Such an appropriate act for a sultry summers afternoon with his laid back charm and rootsy Americana style as his vocals and guitar combined to make you want to listen I loved the track Elouise. This is a difficult slot with people arriving greeting each other, but he managed this well through his easy engagement with the crowds with his tales and comments and music you wanted to sit back listen to and relax…. The next act up were a real contrast Toy Hearts a four piece no drums with at its core a family trio of sisters Hannah (vocals and mandolin) and Sophia (guitar and vocals) together with their father Stewart (Banjo, Dobro, Steel) and an honorary Uncle on Bass; creating an afternoon party feel with their take on western swing blues. The sound was very addictive, foot tapping let’s dance sound with lots of change in pace that meant everyone was smiling and saying this is so perfect for a sunny afternoon. The track Stutter Blues and others from their album Whiskey and others from Flyin’ Too High including Cindy Walkers, Baby That Sure Would Go Good. I particularly enjoyed their rendition of St James Infirmary this is definitely a feel good act. Next up, unexpectedly, were the Midnight Ramble a six piece from Liverpool who stepped in as Federal Charm were awaiting for the AA to bring the broken van and themselves to the festival. This young band certainly knew how to deliver and along with the Jar Family who played on Sunday were my finds of the weekend. The vocalist Paul Dunbar could belt out a song and the musicianship of the band was superb with some great timing nothing seemed rushed and the addition of a sax and trumpet added another dimension. I would describe them as a raw, full of potential and intriguing mix of early King King with the vocals of Ian Siegal in his younger days. South Paw Billie and Lions were two great live sounds and having heard their CD they are good in the studio; into the mix of their own numbers they interspersed classics of which they did a fine version of Sam Cooke’s Bring It On Home To Me. To assist the festival and fill in the time as we waited for Federal Charm a longer encore and then Paul with guitar and his delicious vocals played on delivering a couple of solo numbers. The Midnight Ramble acquired a new set of fans who wanted to take some of the magic home with them. This is a band full of potential and hoping that the 2015 festival season see this band on many more stages across the U.K. and beyond. With that Federal Charm arrived and dashed on the stage quick sound check and they were off, hitting the ground running delivering their brand of high-octane fueled rock with a twist of blues. They played fast and hard including a cover of Led Zepplins Nobody’s Fault But Mine, they are a really good band but there is still plenty of stagecraft and that skill of knowing when to slow it down still to be learnt. The two guitarists, Nick Bowden and Paul Bowe create completely different sounds and the interplay between them works really well they are a real crowd pleaser and gaining a following my favourite was when they slowed it down a bit for a slow bluesy track really showing the skills and the way the two guitars interplay was superb. The Blues Band on next had the tent full of excited fans who wanted to get up close and great and chat with the band, there were many staunch and loyal friends arriving to see this act. There is no argument that tonight everyone loved to hear Paul Jones play the blues. They are consummate professionals and can always be relied upon to deliver the goods, the set tonight had a biography/anthology theme an opportunity for all the old numbers to be heard turning back the years for many with tracks like Talk To Me Baby, they left the audience very satisfied and the energy levels went up again as the young guns British Blues Award winning band King King stepped on to the stage, to bring Saturday to the close. This headline act, came, Played and conquered even more fans tonight… the skies on this longest day were still not inky black as the last chord died away. Bluesdoodles reviewed King King in Headlines Saturday was a day of contrasts the stand-out acts for me were Midnight Ramble and King King they both in their own way took control of stage and festival a delivered quality at Blues on The Farm 2014. Sunday saw seven acts, they all had one thing in common they were determined that everyone should have a good time listening to some great music. Opening the final day of the sunny festival was Electric Revelators featuring The Revelettes, they delivered to an appreciative crowd traditional delta blues Robert Johnson, Sonny Boy Williamson this was the first festival performance of this recently reformed group, with Gordon ‘Slim Blues’ Wride and Simon Gregory joined by the Revellettes Carol Edwards adding to the vocals with a lovely vocals and Joanne Phillips bringing a percussive beat to the group. They certainly got the growing crowd into the mood for the next act Stomp and Holler who stamped a distinctive beat to the proceedings; this is a band I had been looking forward to hearing live after reviewing their album, Groove Grease and they certainly cut a dash in there co-ordinated colour matching outfits in turquoise and black. I wasn’t disappointed with the combination of lively colourful musicianship great interplay between the members and the opening track of ‘Crazy Up Here’ really set the scene. We had a real mix of instruments, flute, sax, accordion, trumpet. Bass, keys, drums and guitar, no one sound dominated as they delivered an eclectic mix that blended and turned into the Stomp and Holler musical shape, jazz, blues and folk and layered on top of that was a mix of four good voices. The band was obviously really enjoying playing the music in a style they love this bonhomie was infectious, as they paraded through the crowd with Sax, trumpet and the freedom boot, a great band that can really deliver what they say on the tin.. You might say how do you follow all that festival excitement …easy says Julian Mores as The Jar Family filled the stage. This band of men from Hartlepool refuse to have the music contained in a single jar! The music will not be captured in a single phrase though the describe themselves as Industrial Folk, they may be quirky, may not be blues but they are most definitely a band delivering great music. The sound they produce is brash, in your face they want to be noticed and noticed they were with the melding and twisting and reinventing mix of folk, country and the underlining hum of the blues, one thing for certain they are unique, there are similarities to the Oysterband. All the songs were hard-hitting lyrical carried by a tuneful melody ‘You Took My Money; ‘Pay It Back’; this is collective of a band with no real lead vocalist or guitarist as they all took turns, swapped instruments this interchanging could have been anarchic mayhem but it wasn’t because they knew which track who had centre stage and the rest stepped back and support with this colourful music visually and aurally a delight. The self-penned lyrics were strong and introduced a new song ‘The World’s too Fast For Us’ what a band the time on the stage dashed by and far too soon they were leaving, this is a band that deserves a really high-profile on the music scene brimming with talent, stage craft and delivering a full and interesting sound. Now up the volume Moreland & Arbuckle the last of the quartet of acts from across the pond creating out of the bedrock of rootsy sound that has blended and melded blues, Southern rock a twist of psychedelia producing quality music; reviewed in bluesdoodles. Next up were The Swing Commanders who turned the marquee into a barn dance, good to see Julian and his team relaxing as they joined in the fun. The Swing Commando’s bought the first fiddle of the festival and the only Disney tune with a swinging version of Talk Like You from the Jungle Book. They bought some swing to the festival as the shadows lengthened, and the dancers danced and swung their hips in time with th big band sound bring more variety to this festival of delights. Change of mood and tempo with award-winning Babajack with the full band tonight as the skies began to darken. and delivered as expected leaving a lot of people satisfied and happy as Becky &Trevor weaved their magic and delivered blues that re-charges the songs of Leadbelly and explores a deeper past from Africa with the addition of some gorgeous drumming from Tosh Murase and bass from Adam Bertenshaw. The skills of the band are immense and the delivery and timing and mutual understanding is gained by the amount of gigs and festivals they perform at. This is a real 3D sound that they produce whether self penned numbers such as The Running Man full of dark foreboding of the must have track on the set list their version Gallows Pole this is their signature number it now belongs to them. It was yet another wonderful set from Babajack full of authenticity and originality they make the blues sing. Oh No all too soon it was the last act a headline act from France Big Dez see Bluesdoodles Headlines This band bought blues that could only please and a fitting end to another Blues On the Farm. It is the variety that makes this festival a delight they bring you good music year after year what ever the weather the stand out acts for me were Midnight Ramble, Stomp and Holler The Jar Family, The Royal Southern Brotherhood and King King.. I love festivals where you hear new music and find new bands you want to follow so thank you Julian and the team for introducing me to Midnight Ramble and The Jar Family two acts I recommend you look out for and enjoy.